At Dietrich-Mothershead Funeral Home, we understand the many challenges you face after the death of a loved one. Our staff extends our help before, during, and even after you say your final goodbyes at the funeral. 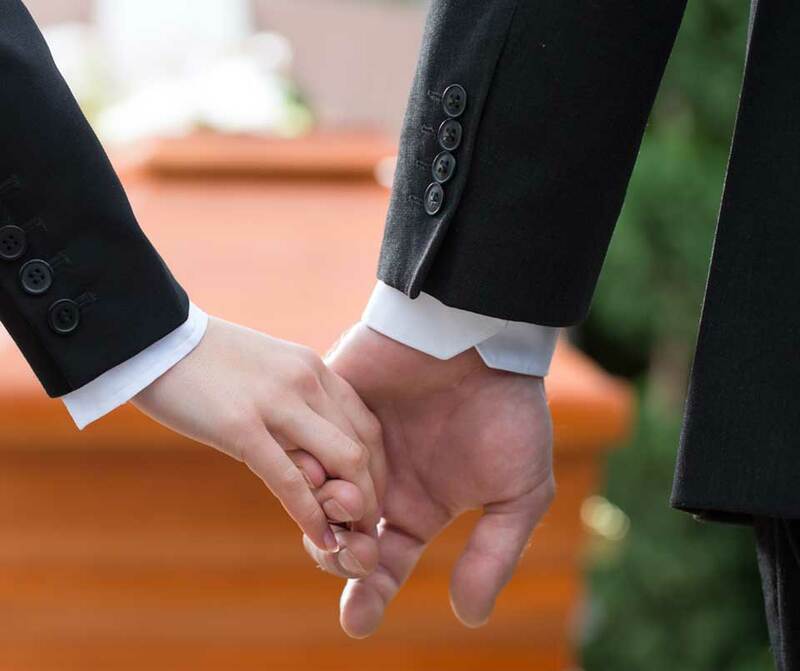 We are a full service funeral home dedicated to serving those who ask for our assistance at whatever stage of the post-death and subsequent grieving process you are in. It may include assistance with benefits available through the Veterans Administration, unions, employers, life insurance and pension plans. Or it could be providing resources on support following this traumatic event. Whatever you need, our continuing care is available to everyone as part of our commitment to serving our community. The five stages of grief, first proposed by Elisabeth Kübler-Ross in her book On Death and Dying, have been used for decades as a basis for discussion about grief. Grief is a normal response to the loss of a loved one and is something that everyone has to do at some point in their life. However, there is no right or wrong way to grieve. These stages are simply meant to be a basic outline for identifying common emotions after a tragedy- not a set of rules on how to grieve in the correct way. Moreover, they are certainly not steps that you ascend through on a linear timeline, as not everyone will experience them in the prescribed order or even experience some of them at all. From everyone here at Dietrich-Mothershead Funeral Home, we want to express our deepest condolences for your loss. Words do little to ease the pain you are feeling, but know that our staff is standing with you during your time of need. We understand that this is already a demanding time, which is why we intend to make every step of the process as uncomplicated as possible. We’ll be right there with you offering comfort and courage in the days ahead while we help you celebrate a well-lived life. Let us know how we can further assist you. The first reaction to learning about the death of a loved one, especially if it was sudden, is to feel shock or disbelief. You may think, “This can’t be happening to me,” which is a conscious or subconscious refusal to come to terms with the reality of the situation. The numbness that you feel is completely normal and a temporary response that helps cushion the blow, carrying you through the initial mourning rituals like planning the funeral and so on. When this happens, it is your psyche shutting down because it cannot fathom the enormity of the loss. This stage may never be felt at all, or the effects may have no time limits. It all depends on your situation. Another stage that you may encounter is generalized anger. As the numbness begins to wear off, the painful realization of the loss sets in. However, you still may not be able to handle those feelings, so you express the intense pain as anger. You might be angry at the loved one who has died, your family members, the doctor, the situation, or even yourself. It does not always have to be rational or valid, but it must be felt. Allow yourself to recognize the anger for what it is so that it may begin to dissipate and you can move onto other stages. Bargaining is another normal and important stage of grief. It occurs when you try to reach out to the universe or a higher power in order to have the pain and sadness taken away. You may try to make promises to live a better life if things go back to the way they were. Bargaining is important because it provides a temporary escape, giving you hope and more time to adjust to reality. It is often considered a sign that you are starting to truly comprehend the situation, which gives way to further steps. During the depression stage of grief, you might feel intense sadness or emptiness, loss of motivation, reduced appetite, trouble sleeping, and withdrawal from family and friends. These symptoms appear when a sense of finality starts to sink in. It can happen as soon as the death occurs or it may take time to develop. If you allow the sadness to cleanse you, you can explore the loss in its entirety. After that point, the depression has served its purpose and will begin to dissipate. It’s important to remember that it may come back in episodes and it could be for a lengthy period. If you’re worried that what you’re feeling isn’t normal, do not hesitate to seek help. In the final stage of acceptance, you may reach a point where you are no longer looking backwards to try to recover the life you once had with the deceased. You accept this as the new permanent reality. However, that does not mean that you no longer feel the spectrum of emotions from all of the other stages. Whatever you may be feeling, you don’t have to be “okay” with the death of a loved one—you just have to recognize that this is a new point in your life and you must live with it. Sadness may start to diminish and you may begin to open yourself back up to the world. It’s important to remember that acceptance is not a finish line to cross. It is an ongoing process and you may have days where you struggle. You simply have to work toward having more good days than bad. If you have questions about the resources we provide, we’ve made it easy to send your email inquiries via our contact form. Delivered in minutes, your message will not sit in our inbox for long. We guarantee to respond within one business day. And please contact us for any need you may have following the death of a loved one. We are prepared to stand by you during this difficult time.